I’ve decided it is high time I embraced being unfashionable. There is so much cynicism these days, especially in the media (not without reason), and with escaping to the movies one of life’s simple pleasures, it can be refreshing to experience a movie that is a straight up charming, rustic crowd-pleaser. Ethan – 8 Years Old (Bryce Gheisar) in a scene from A DOG’S PURPOSE, directed by Lasse Hallström, in cinemas May 4. An Entertainment One Films release. A Dog’s Purpose, a film about the many lives of a dog who reunites with one of his owners after several pooch lifetimes, is one of those unashamedly old fashioned family films that you’d expect to find on the shelves of a VHS library. Produced by Amblin Entertainment, their last film being the gorgeous big screen adaptation of Roald Dahl’s The BFG, this is a motion picture designed to feel timeless and it absolutely achieves that. It’s not contemporary, but it’s also not out of date either, rather an enduring classic that will find a niche in family viewings for generations to come. Our narrator is a puppy, and this may be the first hurdle for a modern audience. You’re either going to embrace or reject the idea of a cute voice explaining events as they unfold, and for me, well, I bought it. 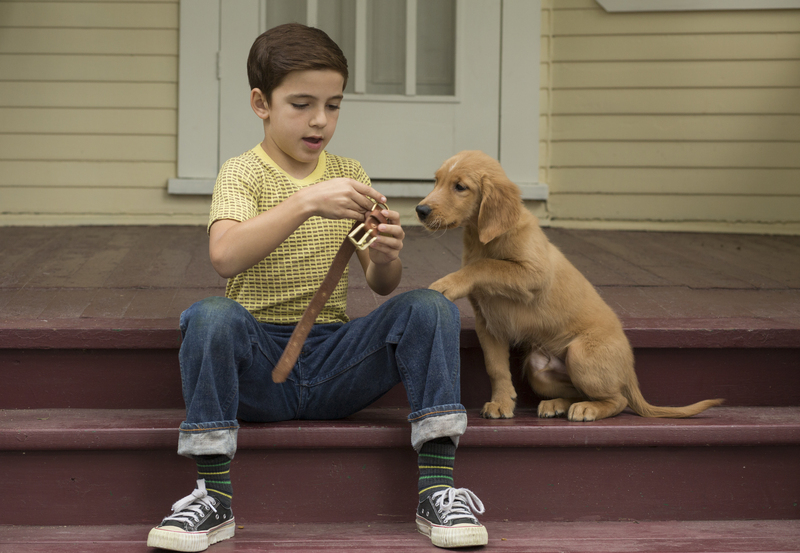 We first meet Bailey, a puppy voiced by Josh Gad as he is born amongst a litter of pups in small town USA, and goes on to live a happy, if brief, life, feeding from his mother, scrounging for scraps and being caught in a net by the local dog catcher. It is a rather abrupt start to a film when our protagonist survives all of about 90 seconds of screen time.That is the end of that incarnation, but immediately, Bailey is born again, and lives out another life as a different dog with different experiences in a subsequent timeline. Before long, Bailey winds up the proud owner of Ethan (Yes, the dog thinks he owns the human) a little boy in Michigan and the pair become best mates. Ethan’s grandparents own a farm (a setting based on the 1948 painting above by Andrew Wyeth “Christina’s World,”) and Bailey is right at home chasing chickens and sniffing the donkey all summer long. Ethan’s life is not without complication though, as his father, played by Luke Kirby of The Astronaut Wives Club, is a 50s Dad caught in the early 60s, a travelling salesman keen to get off the road, and a heavy drinker. Thankfully, Ethan’s Mother played by Juliet Rylance, is more reliable, and she anchors the family, attempting to shield her son from the ugly side of his old man. Ethan’s Mum (Juliet Rylance) and Ethan – 8 Years Old (Bryce Gheisar) in a scene from A DOG’S PURPOSE, directed by Lasse Hallström, in cinemas May 4. An Entertainment One Films release. As Ethan matures, the family dynamic shifts, and it is Bailey who is acutely aware of this change in the pack. A Dog’s Purpose is a story told through the eyes of a dog, and this idea is utilised to great effect. Frequently we find ourselves looking up at the world through the eyes of a dog, and with Josh Gad’s gentle and warm tones, it is difficult not to empathise with Bailey as he lives out his life with Ethan. Teen Hannah (Britt Robertson) and Teen Ethan (K.J. 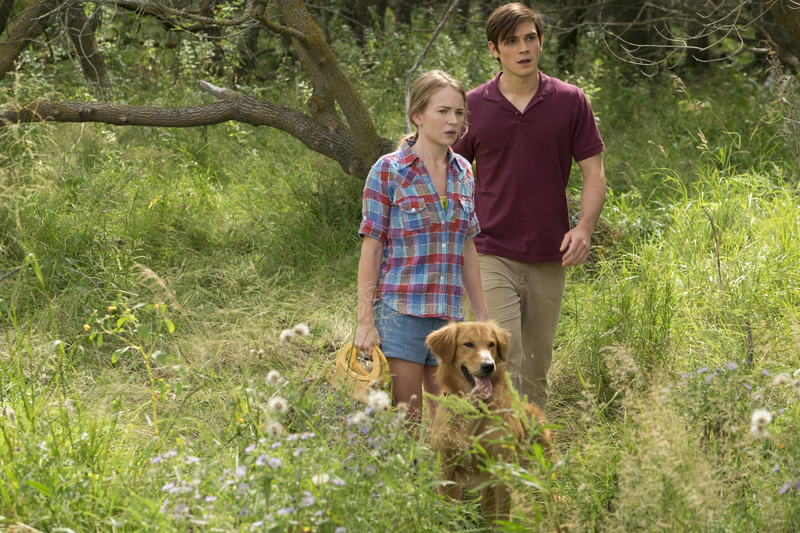 Apa) in a scene from A DOG’S PURPOSE, directed by Lasse Hallström, in cinemas May 4. An Entertainment One Films release. As this is a tale about a dog that keeps reincarnating, that is not the last we see of Bailey, and if you’ve watched the trailer you’ll be aware of where the story heads next. 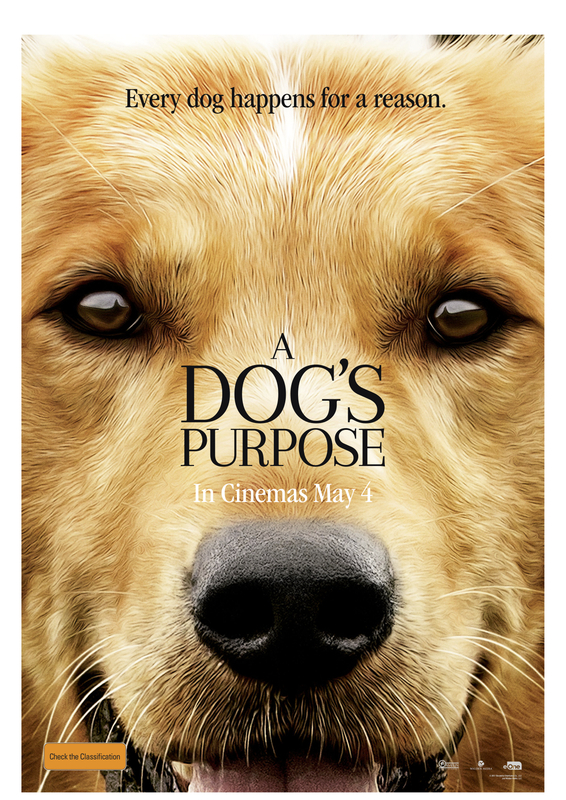 I think this flick takes a big gamble in asking the audience to come on a sentimental journey through the many lives of a dog, and if, like me, you are a dog owner then this one should be right up your alley. I know my 9 year old daughter will utterly adore this film, with the many furry faces of the cast prompting oohs and ahhs from the audience I watched it with. The film attracted some controversy when footage leaked of a reluctant dog being “encouraged” into a large water tank of turbulent water for a green screen scene, an incident that seems to overlook the fact that every scene with an animal requires some degree of persuasion on the part of animal handlers. “A Charming and Funny Dog Lover’s Delight” – 4 Stars. PS – I was interested to discover the film’s $22 million USD budget has been earned three times over in the US, and FOUR times over in China. The latter perhaps due to a combination of dog appreciation, and belief in reincarnation through Buddhist philosophy. 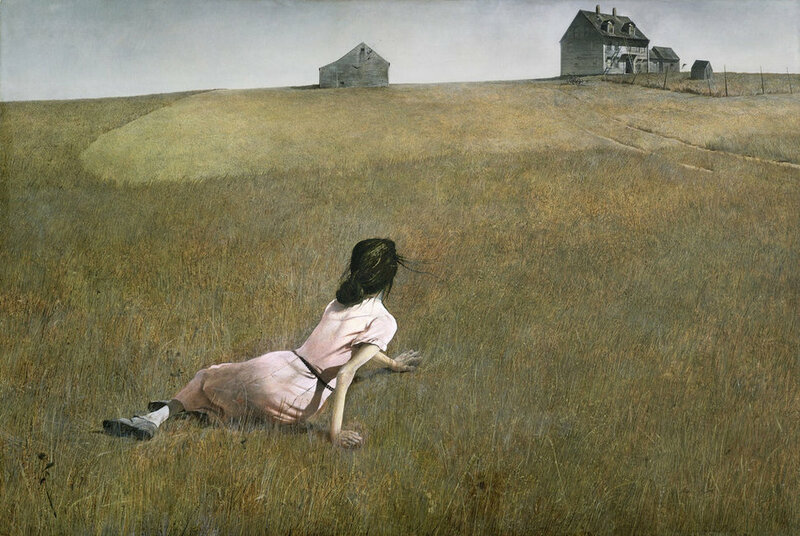 I did some googling and found this startling story on reincarnation.